Excited for Blue Bloods season 9 episode 14 to air on CBS in a single week’s time? Hopefully, the promo below aids in that quest. Related Blue Bloods video – Check out some more information on the next new episode of the series below! Also, remember to subscribe to CarterMatt on YouTube for some more insight, and be sure to check out our full series playlist. If you look below, you can see a new look at the upcoming episode that is going to put some characters through an emotional ringer. We know a thing or two already about what’s going on with Danny and Jamie Reagan, largely because we’ve written about it on a few occasions already. Over the course of this episode, you are going to see Danny disobey a direct order from his brother, which is going to lead to a little bit of chaos and maybe even sadness. Jamie cares about his brother obviously and because of that, he values his opinion. To have him be disrespected like that within a place of work for him is going to be heartbreaking — and he’s probably going to act out more as a result of that than he would in any other situation. Why else would Jamie be writing up his own brother? Judging from the end of the promo, it seems as though Jamie and Danny could be getting into a fight right in the middle of family dinner — which is enough for Frank to basically tell the two that if they keep it up, they can leave dinner altogether and do something else. We think that the two will figure things out, mostly because a big part of what Jamie may be doing is lashing out after he feels like his reputation and his leadership skills were hampered because of his daughter. We do feel like it’s important to point out once more the Frank storyline in this episode, as Tom Selleck’s character will be doing what he can to help a grieving officer who accidentally shot an innocent person while out in the field. This is something that sticks with you, we would imagine — while there are a number of irresponsible and even prejudiced police shootings that have happened (and are portrayed in the headlines), there are also some that simply come about a result of pure accidents. This may very well be the case in this instance. 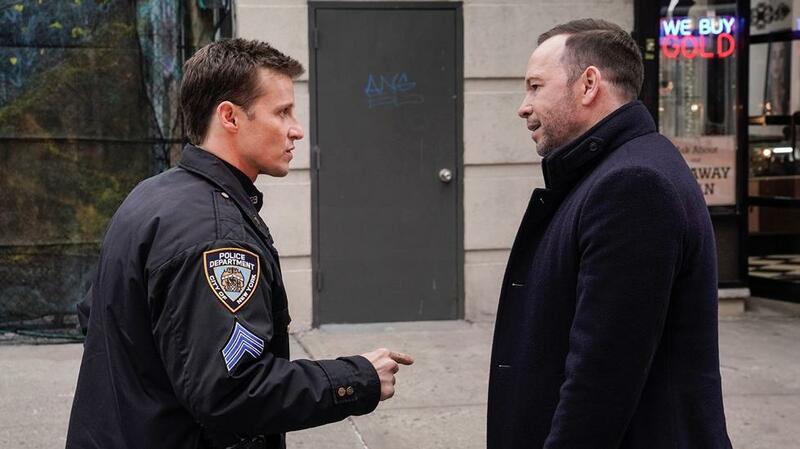 Related News – Be sure to check out some more news regarding the next Blue Bloods episode!